Whether you�re a practicing vegan or a meat eater looking to improve your health, The Easy Vegan offers dozens of recipes to reinvigorate your everyday meals. With more than 440 recipes, from appealing appetizers to delicious desserts, The Easy Vegan takes a healthy approach to some of the most common recipes, and adds some delicious new surprises from Vegan Shepherd�s pie to Mac and �Cheese� to savory pies, cakes, dressings, chutneys, and more. Vegan chef Janet Hudson shows how to use easy-to-find fresh ingredients, dairy and meat substitutes, and common pantry staples for each recipe. The Easy Vegan looks at nutritional concerns for both children and adults and shows how vegan cooking is low in cholesterol and fat, and high in important antioxidants, vitamins, and minerals to improve health. 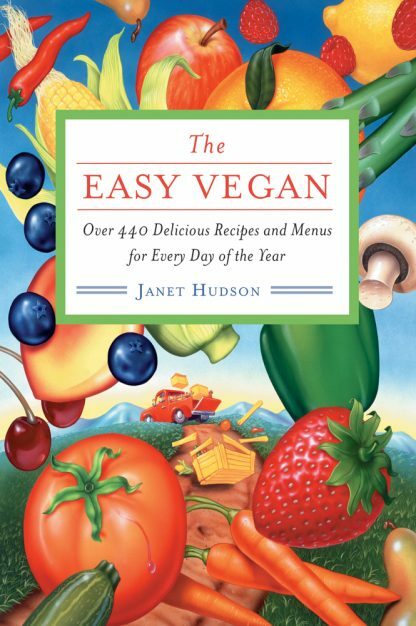 Janet Hudson is an experienced and successful vegan caterer who began cooking as a child. She is the owner of Vegan Feast Catering in Southern California.